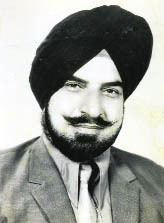 MUSIC director Sardul Singh Kwatra was among the most colourful personalities of the film industry. Six feet tall, with a stylish beard, well-starched moustache, he was fair-skinned and handsome. His friends called him a ‘ladies’ man’. By his own admission, he was highly romantic. He got his initial training in classical music from Avtar Singh of Lahore. Subsequently, he honed his skills as an assistant to maestro Hans Raj Behl. He was in love with a Muslim girl, younger to him by a couple of years. Sardul composed some tunes celebrating her femininity and charm. The day he left Lahore in 1947, his beloved’s mesmerising looks lingered in his thoughts. He once admitted that without being in love, he cannot create good music. After a brief stint in Amritsar, the Kwatra family moved to Bombay. For the first few years here, the family had to face financial crisis. His elder brother Harcharan Singh Kwatra struggled to become a film producer. In 1949, the family financed Posti, a Punjabi film. The entire cast consisted of refugee artists from Lahore. Sardul picked up young actress Shyama for the female lead. In Shyama, Sardul saw his lost love. Tall and slim, Shyama was a perfect natural dancer. The moment Sardul composed a new tune on his harmonium, Shyama would start tapping her feet in unison. Soon Sardul became her admirer. He began composing tunes bearing her personality. Posti was released in 1950 and it did well at the box office. Sardul’s music also received critical acclaim. Its songs "Do guttan kar mariyan, Kajle di paaniyan" and "Jaa bhairha Posti" became very popular. In this film, Sardul modified the folk tunes of Punjab. In film Posti, Sardul Kwatra introduced both Asha Bhonsle and Jagjit Kaur as playback singers for Punjabi films. Mohammad Rafi was his obvious choice as a male playback singer. Another female singer Rajkumari, who was introduced to Punjabi films in Kurhmai way back in 1941 by another Lahore-born music director Khurshid Anwar and Sardul used her voice again after eight years in Posti. Kurhmai was the first Punjabi film made in Bombay. Though Amritsar-born Shamshad Begum sang for Posti, but Shamshad was in films since 1939 under the music direction of Ghulam Haider. Sardul composed music for some Hindi films in the later years. But his most popular songs were from films like Goonj, Mirza Sahiban, and Pilpli Sahib. 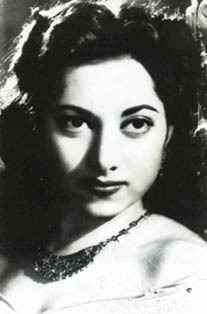 Sardul was also a great admirer of Lahore-born actress-singer Suraiya. Suraiya, after Sardul’s prolonged persuasion, agreed to act and sing in Goonj. Sardul created some memorable tunes for this film. Some of these songs are still available in the market. Most of the tunes for Goonj were composed in 1952. In 1953, the Kwatra family made Mirza Sahiban in Hindi. Once again, the heroine was Sardul’s first choice Shyama. It had a limited success at the box office, but its numbers, which were sung by Lata Mangeshkar and composed by Sardul Kwatra, became very popular. The success of Posti in 1950 became the stepping stone for other Kwatra films in Punjabi. In 1953, another Kwatra Production, Kaude Shah became a blockbuster. Shyama was the heroine of this film. The folk tunes in this film became very popular. By this time, Shamshad Begum had established herself as the first lady of playback singing for Punjabi films. Three of her renditions "Mere sajnan di dachi badami rang di", "Ajj sohne kapde te chunni vi bareek ae" and "Chhad de toon mera dupatta" became popular. For another Punjabi film Vanjara, made in 1954, Lata Mangeshkar sang some solos and some duets for her second stint in Punjabi films after her great years 1948, 1949 and 1950. This film did not do too well, but its music became a hit. Sardul composed music for another Punjabi film Billo during the late 1950s. In his music, Kwatra simplified the classical ragas to portray nuances of subtle romanticism. During the mid-1970s, Sardul Kwatra moved from Bombay to Chandigarh. For a short period, he established the Chandigarh Film Institute. During this period, he composed music for Punjabi film Shaheed Udham Singh (another name Sarfarosh). The film and its music did fairly well. Sardul Kwatra composed music for half a dozen Hindi films and nearly 25 Punjabi films. After Hans Raj Behl, Sardul was the most prolific music director of Punjabi films. His last assignment was a Punjabi film Ankheeli Mutiar (1979). Sardul left India for the US around 1978 where he died an emotional and financial wreck in 2005.